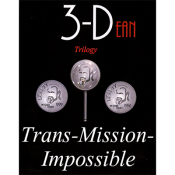 Excerpt from 3-Dean Trilogy by Dean Dill Performance and Explanation of Trans-Mission-Impossible. Another take on John Kennedy's "Translocation" that will fool your audience. 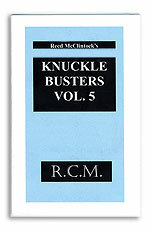 Includes some new ideas and a new handling. 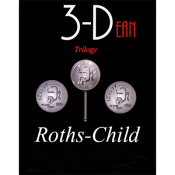 Excerpt from 3-Dean Trilogy by Dean Dill Performance and Explanation of Roths-Child. 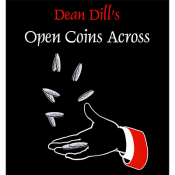 This is Dean's version of David Roth's Coins Across but not using a shell coin! Excerpt from 3-Dean Trilogy by Dean Dill Performance and Explanation of Peter Mui's Brainstorm. 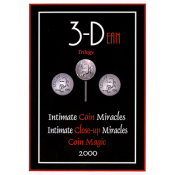 An instant assembly of four coins. Dean used this as a repeat or closing to a standard one at a time coin assembly. 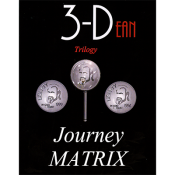 Excerpt from 3-Dean Trilogy by Dean Dill Performance and Explanation of Journey MATRIX. A clean and simple direct handling of "Matrix" where four coins vanish and appear in one corner. Excerpt from 3-Dean Trilogy by Dean Dill Performance and Explanation of Plastrik Card. 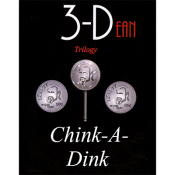 Inspired by Daryl's "Hefty Penetration," a chosen card visually penetrates a clear ordinary plastic bag that is filled up with air and tied off. Everything can be given out for examination. Excerpt from 3-Dean Trilogy by Dean Dill Performance and Explanation of Pennies from Heaven. 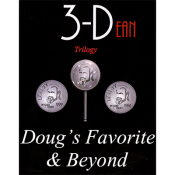 Four pennies disappear from the spectator's hand one at a time and appear in your hand. This is a very strong effect. Excerpt from 3-Dean Trilogy by Dean Dill Performance and Explanation of Do or "Dice". Do or "Dice" was inspired by John Kennedy's "Double Whammy" and given a new handling with new concepts. A fantastic routine with three different colored dice and a cup. Amazingly one dice shrinks and one grows. Excerpt from Extreme Dean #2 by Dean Dill Performance and Explanation of No Extra's. 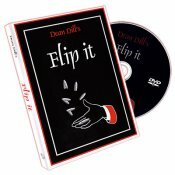 A smooth, quick, versatile, and visual assembly using only four coins. No extra coins, no shells. 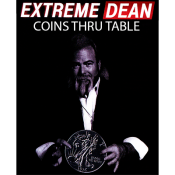 It can be done on a table or on the floor with four borrowed coins or even four pieces of candy. 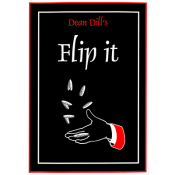 Excerpt from Flip It by Dean Dill Performance and Explanation of Open Coins Across. Excerpt from Extreme Dean #1 by Dean Dill Performance and Explanation of Dinner Napkin. 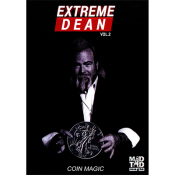 Excerpt from Extreme Dean #1 by Dean Dill Performance and Explanation of Call Shot.